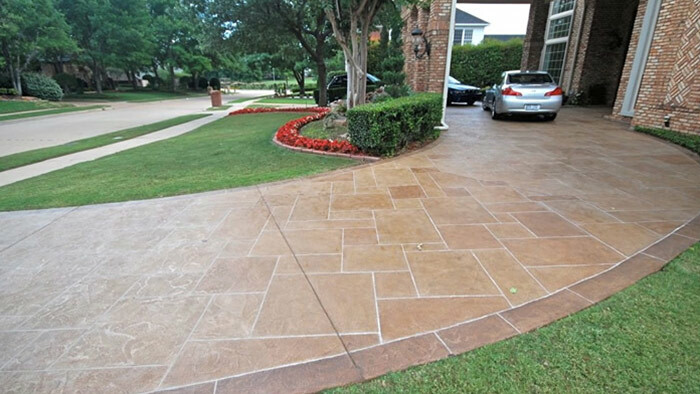 If your home is like most, your driveway is in the front of your home. 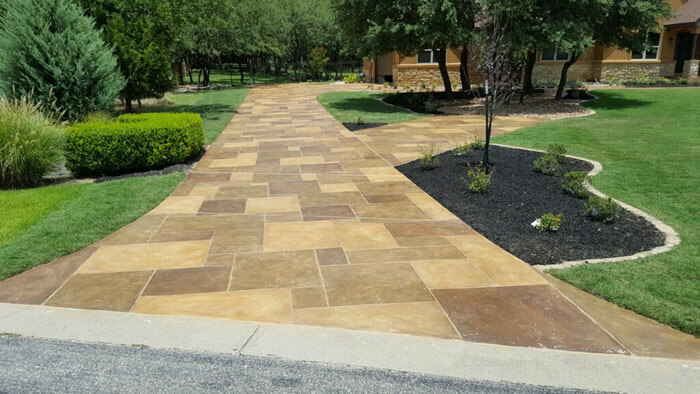 When people view your home, their eye is drawn to the driveway as much as it is the home itself, highlighting the importance of a driveway that accentuates the look of the entire property. 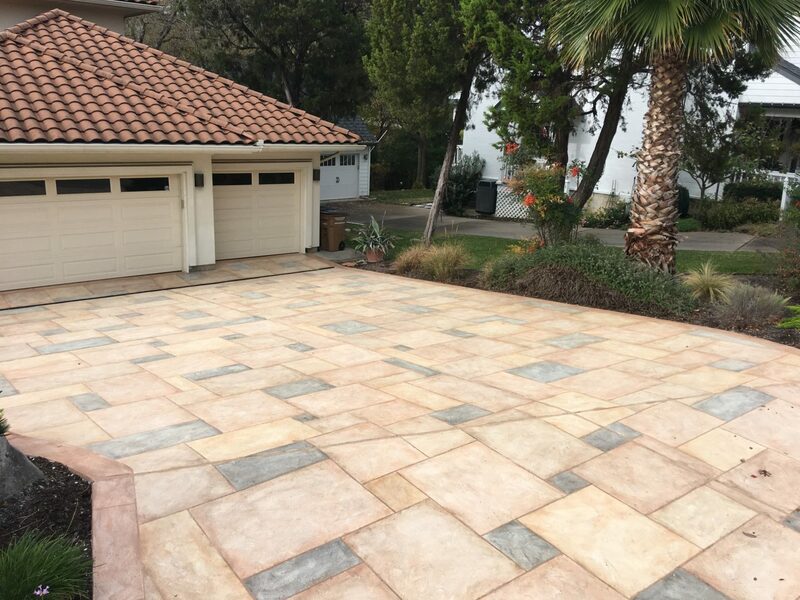 If your driveway is in disrepair, it doesn’t add anything to the aesthetic properties of your home—more likely, it detracts from them. 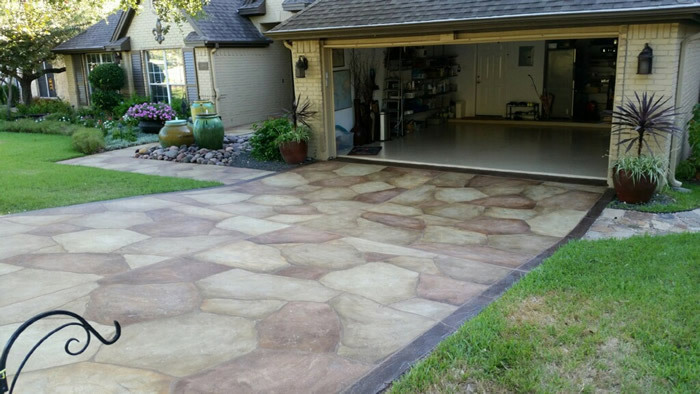 With high-quality driveway repair from the experts at Texas Premier Coat Resurfacing, you can get a concrete, stone, or quartz overlay, or other sealant to not only provide long-lasting driveway repair, but also to enhance the look of your property. 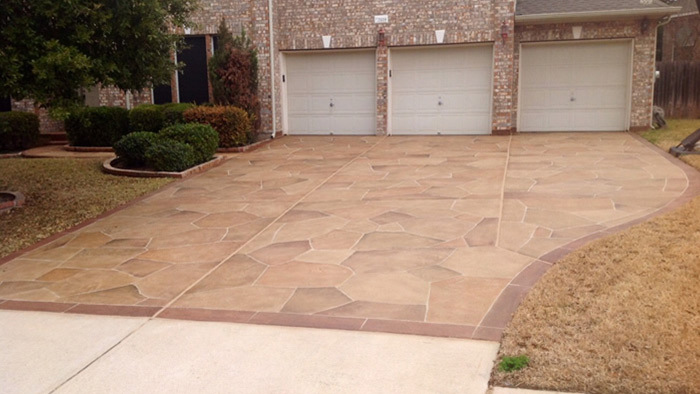 The difference is significant—especially when you opt for a decorative composite overlay, such as a stone overlay. 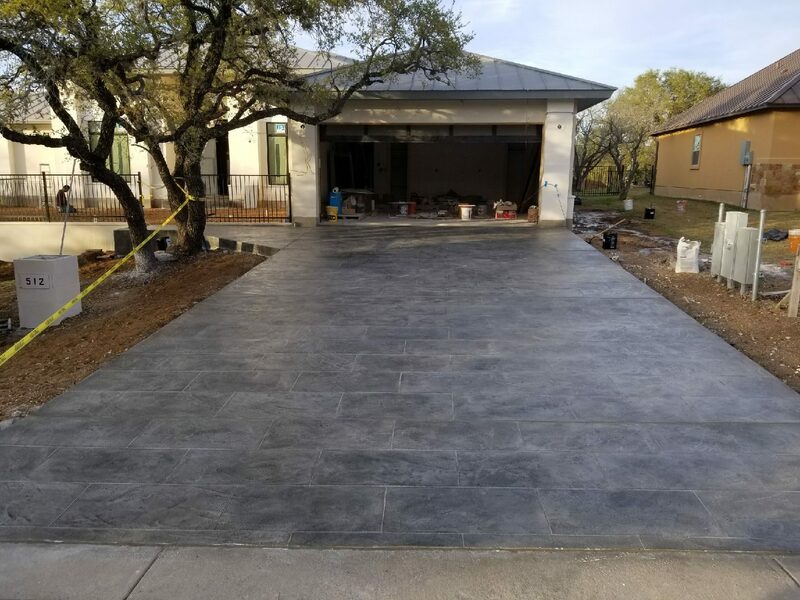 When you hire our team at Texas Premier Coat Resurfacing for your driveway project needs, you will receive top-quality work performed by highly skilled professionals. 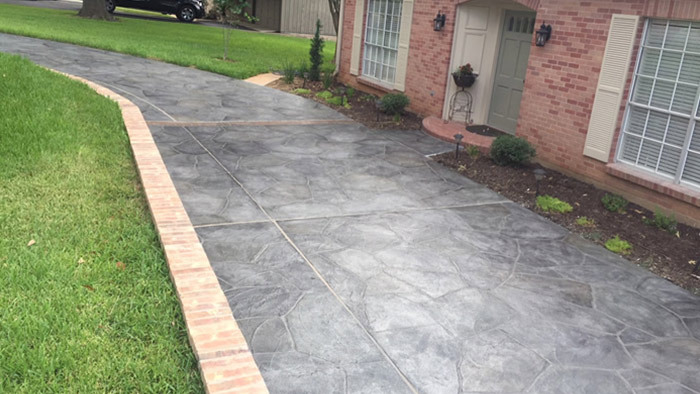 Whether your driveway is in dire need of resurfacing or you are just looking to spruce it up, our team has the skills and the experience to deliver the exact results you’re looking for. 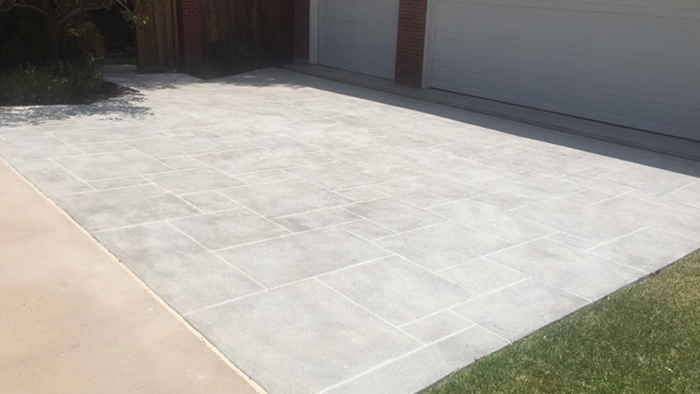 Get in touch with us today to get a free estimate on your unique driveway repair and resurfacing project. 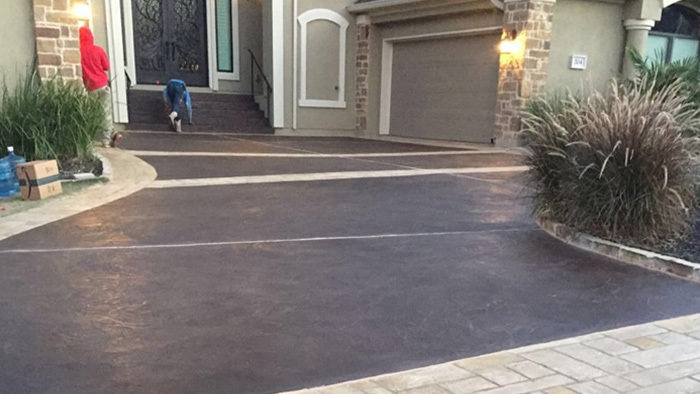 The highly skilled professionals at Texas Premier Coat Resurfacing offer a variety of services to enhance the appearance of your driveway—and by extension, your entire property—but it starts with high-quality repair services. 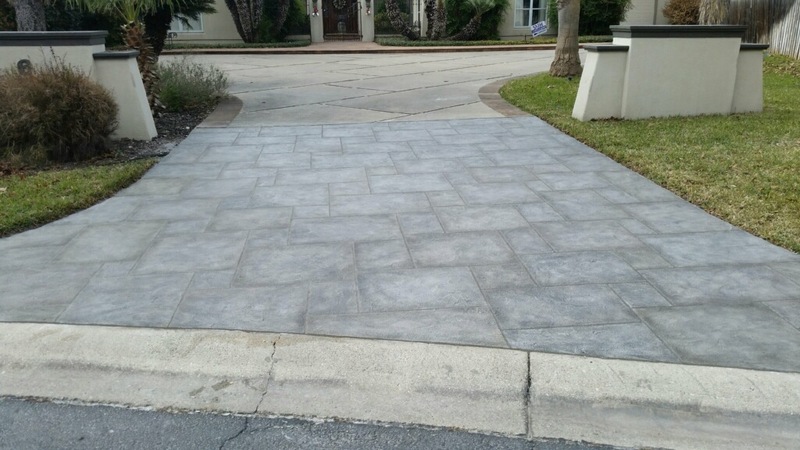 Before we resurface your driveway with any of the materials we offer, we make sure to refill cracks to ensure we put a fresh coat on top of a driveway that’s in great shape. 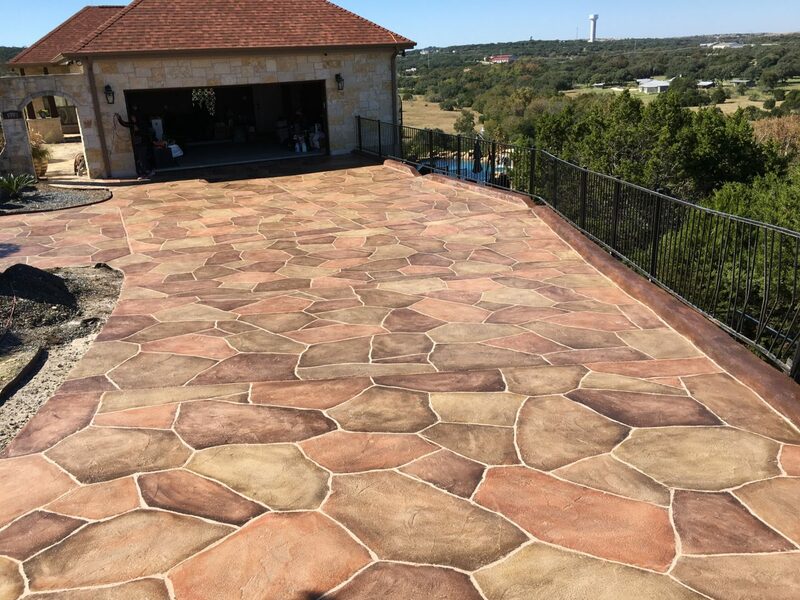 Texas Premier Coat Resurfacing can create beautiful surfaces anywhere on your property with flagstone and color-matched grout, including on your driveway, but we can also make the surface of your driveway resemble a real stone surface without the cost and maintenance of installing a natural stone surface, making it a great option for homeowners. 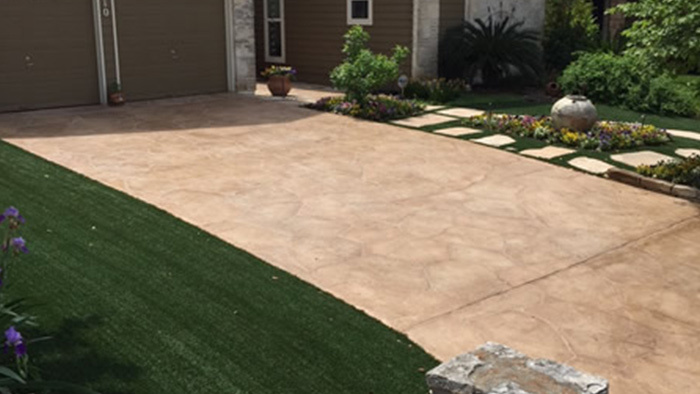 First, we coat your driveway with about a quarter inch of a material called Quartz Coat, which gives the surface the appearance and texture of stone. 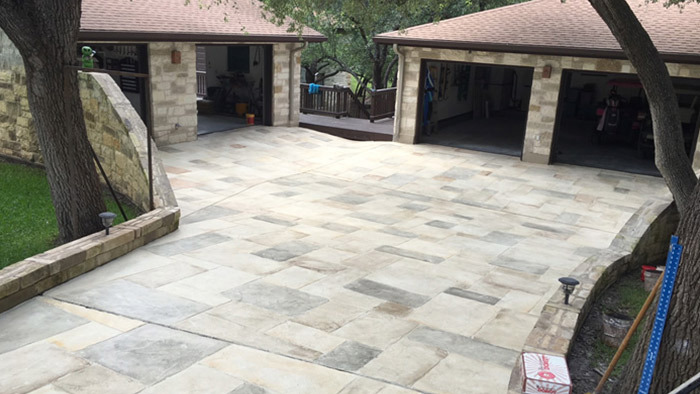 Next, our team will go through the process of meticulously hand-carving and texturing the driveway so that the surface resembles natural stone. Finally, we’ll add any color you choose from a variety of stone shades: blacks, browns, golds, and more. 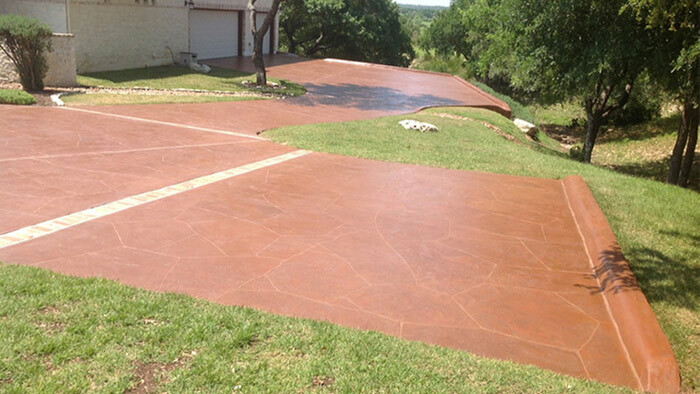 We also offer a basic concrete mold to build you a brand-new driveway surface from scratch. 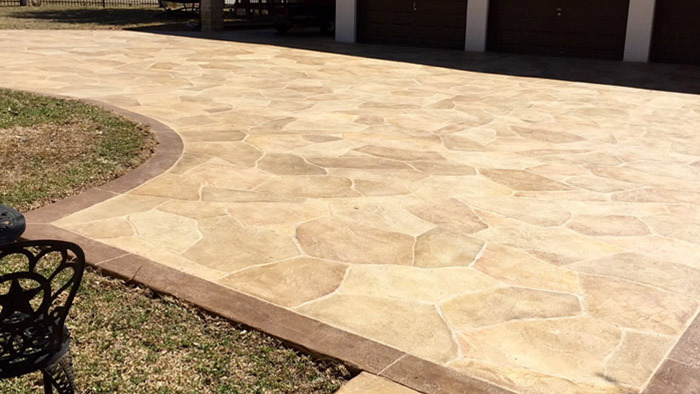 When you hire our team at Texas Premier Coat Resurfacing for your driveway project, you will receive top-quality work performed by highly skilled professionals. 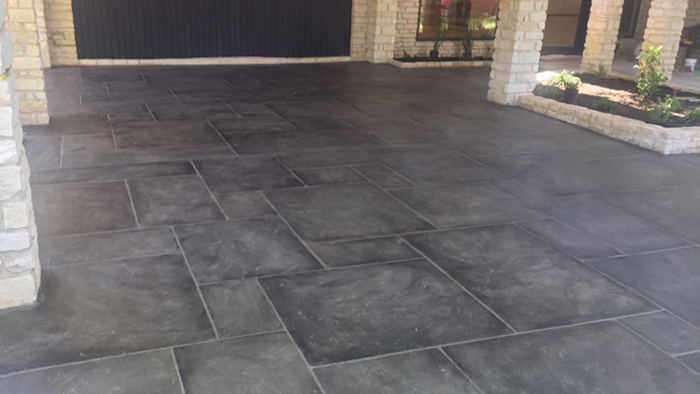 We have a wealth of experience handling all types of concrete overlay projects, such as those performed on driveways, pool decks, patios, and other areas. 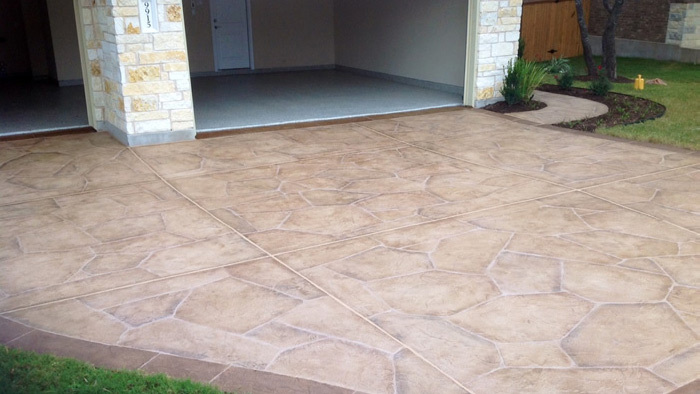 We provide our resurfacing services in Austin and many surrounding areas. 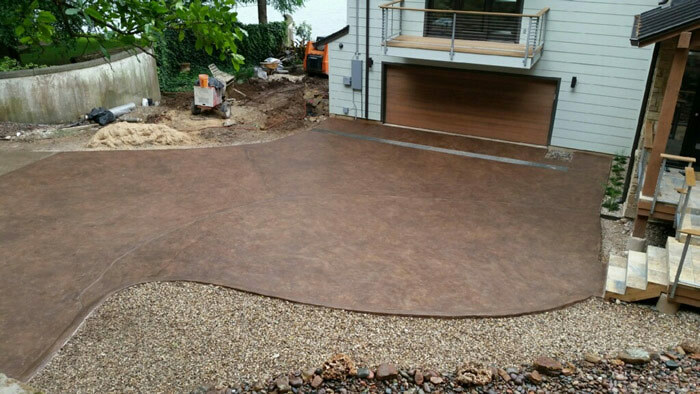 If you are interested in having your driveway resurfaced by our competent team, call our office and ask for a free estimate!